I glanced over this article today. Since I don’t have children or nearby relatives, suggestions for things people can do together as a family grab my attention less than other things might. But after walking away, I found myself thinking about things I liked about it–simple things to notice that will help us keep the Sabbath day holy. Jeffrey Hill says, the Sabbath should look different, sound different, feel different, and even taste different. He neglected to mention “smell different” which my Sabbath always does when I go to church–perfumes abound. But laying that aside, I like the idea of the Sabbath being different in these simple, easy to remember ways. I might also add, the Sabbath should think different, if you get my meaning. It can have a different attitude. Though I carry on many of my humanitarian works on Sundays, there are little rules I’ve set for myself. For example, I don’t operate machinery–spinning wheel, sewing machine, iron. I don’t go into mass production–laying out a lot of fabric or tracing and cutting out patterns. If I use scissors, I use them to trim threads, not cut out bear shapes. Long ago I learned a song in Primary, “Saturday is a special day, it’s the day we get ready for Sunday.” That’s been a lifelong lesson for me. It should watch different, listen different. It should do different. Ideas about writing books–note them, but don’t start working on your book. 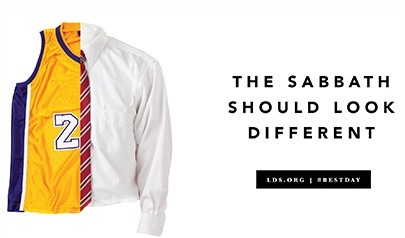 The Sabbath shouldn’t further your career. It shouldn’t be a day to carry out tasks for convenience sake, i.e. business in the church hallways. Clean up the dance room. Watch that Jerome Robbins video I’ve been wanting to rewatch. This little suggestions can lead to greater Sabbath observance. Be mindful, be present, listen within; be guided by the Spirit. That’s how to make the Sabbath day different. 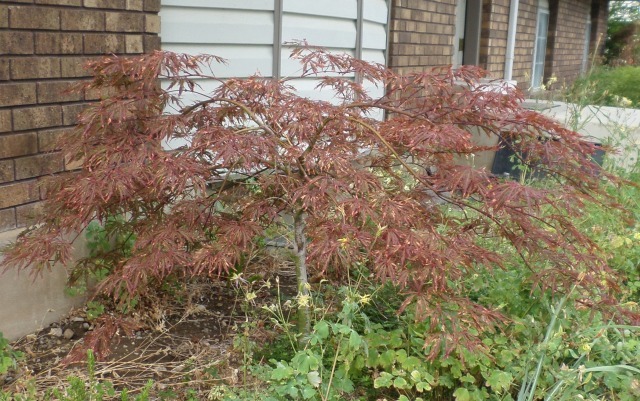 Tom has a new young Japanese maple planted in his yard. You know that feeling you get when you see a little puppy? I had that feeling upon seeing his new plant. Japanese maples are my favorite shrubs. I’ve planted five and have six at my home. 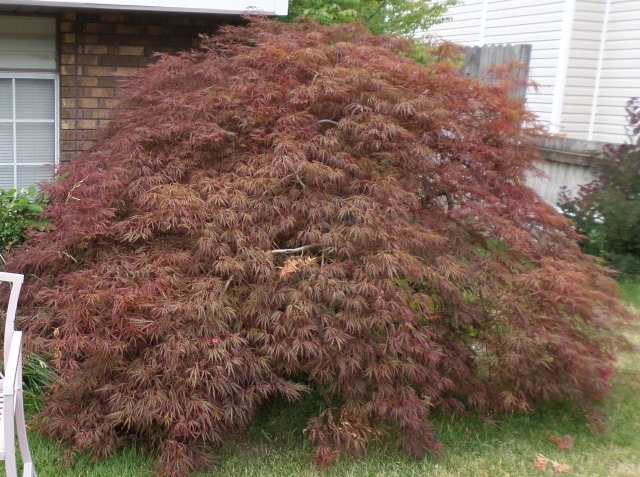 A-few-years-old Japanese maple growing in my yard. As Maggie and I completed our walk, I reflected on how pretty young things are. And I almost wished I could keep them that way–saplings, puppies, me. But I thought of the majesty of my other Japanese maples. Japanese maple over twenty years old. 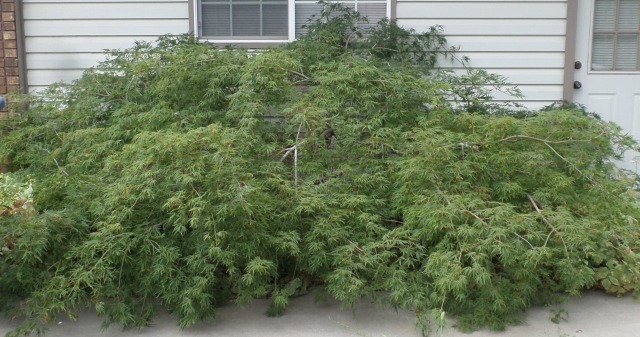 Japanese maple around 18 years old. The red one has been pruned several times, but the green one hasn’t. They’re gorgeous, if you like that sort of thing (which I do). And I thought about how enjoyable an older dog is–less work, more companiable. 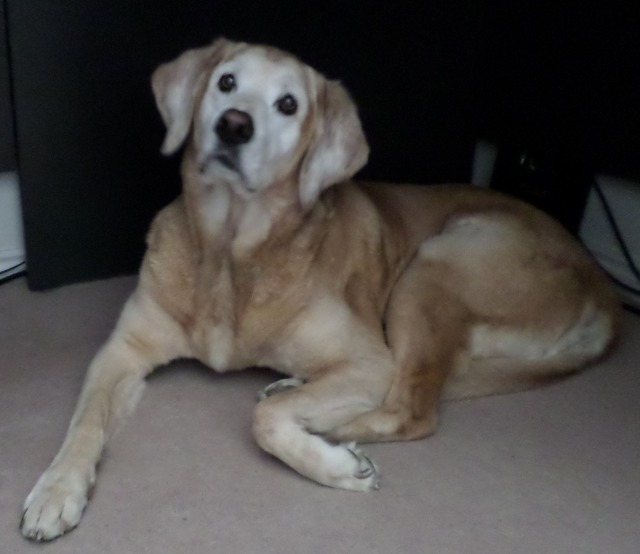 Puppies are delightful in all their stages of life, but there’s nothing like an older dog. President Uchtdorf says we weren’t meant to stay in or return to Eden. We’re meant to progress. And we’re going to get pruned. What I remember most about it was that he said, or implied, that if we didn’t age we wouldn’t want to die. I’m aging. Sad truth. I don’t like some of it, but there are things I appreciate about being older. I can’t say I’m more beautiful, but I’m kinder. Like the Japanese maples in the photos, I’m more apt to give shelter than censure. My interests, abilities, and influence spread farther than I realize. And I would never consent to return to the state of ignorance I once enjoyed (ignorance was bliss). However, I feel old. I feel big. My body is yet capable of more movement than my current girth allows. My hip joints hurt and I have to move carefully. Part of me remembers physical youth–even as recently as a few years ago’s youth–and misses it. Why does this tell me there is a God? Because there’s no logical reason why we shouldn’t go on and on and on. Our bodies are capable of rejuvenation. They renew themselves within a seven-year period. I’m a reasonably healthy, fairly uninjured person. I’m clever, accomplished, and eager to do more. Why can’t I go on living as a youngster? Because God says no. I’m OK with that. As painful and uncomfortable and unattractive as aging is, I trust God. I know He’s trustworthy. I know it. And I know He’s got the whole world in His hands. We’re safe with Him. I ran across some things I wrote in a notebook last month and, these things pleasing me, decided to write them here. How can I go on? I’m stopped by all all all I would like to do. Like a dog watching a human dance, or use her hands. Oh, why don’t I feel a little marvelous? Does God? Does He feel content? Is He amazed at what He does? Or does He still shake His head and say, “I wish I could do more”? 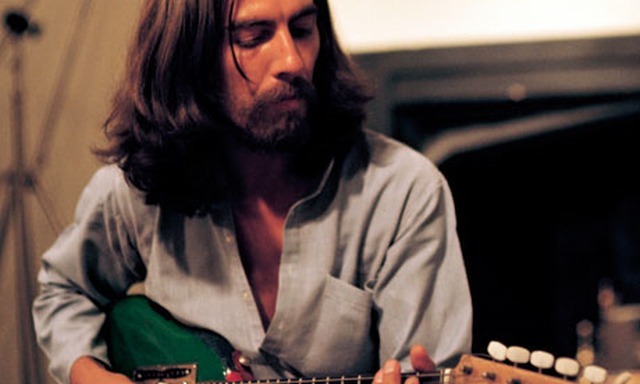 I watched two biographical movies: one about Thomas Merton and the other about George Harrison. These are my notes. Moments of despair are renewals. 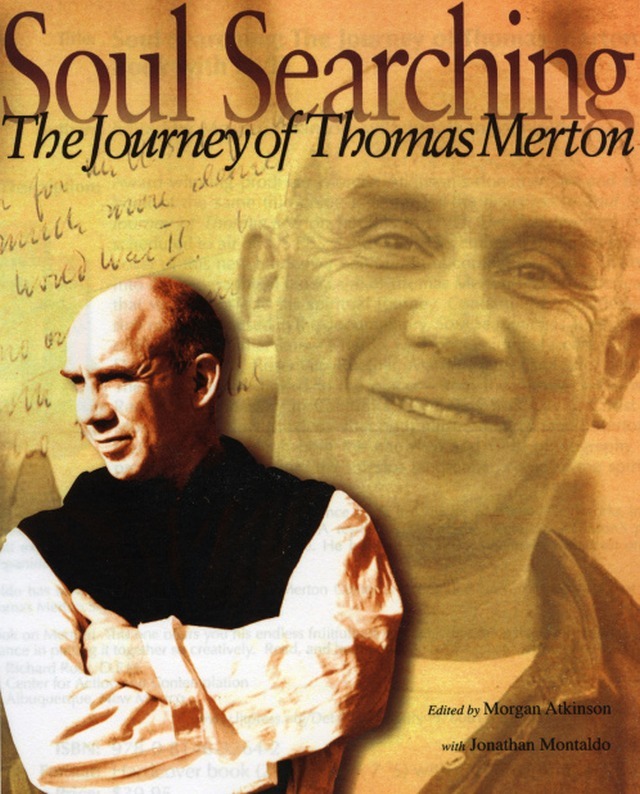 Funny–Thomas Merton originally wanted to be a famous writer. Later he reluctantly became one, only to find it was not what he wanted. His readers wanted to keep him as he was–an eager, discovering monk; they wanted all problems solved for him because he became a monk. (No doubt he did too.) But entering Eden with eyes open reveals one’s imperfections. Faith is overcoming doubt, not not-experiencing it. Overcoming the world is overcoming our deepest self. We have to develop a stronger ego in order to overcome it. The gate of heaven is all around you. The world is your book (outside the monastery). One thing I’ve learned from these films about Thomas Merton and George Harrison is that what I’m going through is NOT UNIQUE! They went through it too. 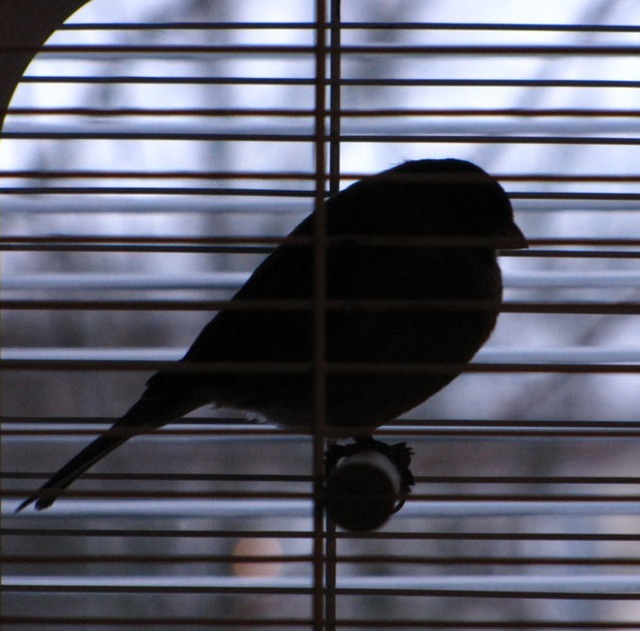 Those who lead contemplative lives will find that life does get harder. Even the things we thought were easy now, we think we’re “over that,” can come roaring back fiercer and stronger than we ourselves are. Perhaps it is so, as Thomas Merton suggested, that overcoming the world means we must overcome the deepest aspects of ourselves–EXPERIENCING our doubts and difficulties with faith. The temptation (maybe even the need) to completely withdraw screams at one, shrieks loud and clear. It is one more thorny field to traverse, supported, sustained, and carried by the Word of God. Needed a cheerfuller post than yesterday’s. The title may sound ominous, but it only means that I’m trying to wring the truth out of myself. Susan Wooldrige called it opening the window, but I wanted to be more original and July-ish.